An ORIGINAL SIMANCO bobbin case - part # 45750. 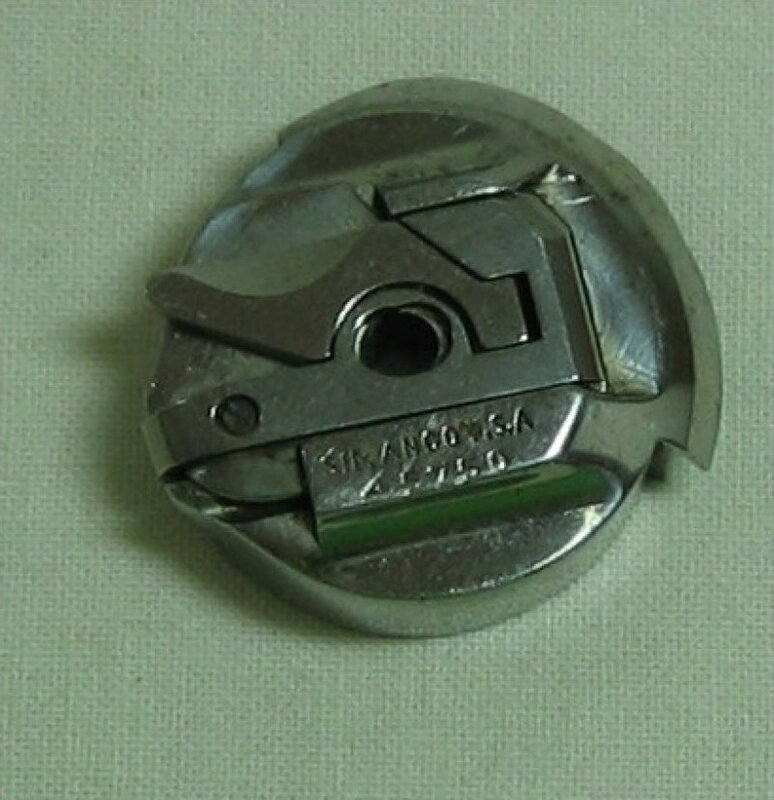 This is an ORIGINAL SIMANCO bobbin case - part # 45750. Please read my full explanation about bobbin cases and the part numbers under my Featherweight Tip of the Month for June 2012. Bobbin cases (differing part numbers) are NOT interchangeable. This bobbin case will have been 'robbed' from a non-functional machine. Unfortunately there is not a reproduction bobbin case for part # 45750. Nova will personally clean, test, and adjust these original bobbin cases before shipping them. When your bobbin case arrives it will have a sticker on it, "Tested by Nova" because she really does test every bobbin case before shipping it. You can be assured that the bobbin case you purchase from Nova will be functional. Please keep in mind that these are original (used) parts. They may have some wear or discoloration from age. When you remove a bobbin from the case, be sure to snip the thread close to the bobbin case, so you are not putting undue tension on the bobbin case spring. This is true for all sewing machines. One thing to keep in mind if you take classes and use your machine in a class setting -- when you leave your machine be sure to remove your bobbin case and slip it in your pocket or purse. They are very easy to remove, and unfortunately, there have been instances where bobbin cases have been stolen while class participants were at lunch, etc. It would be much better to be safe than sorry.